I attended the annual meeting of the MAC group in Madrid last weekend. It's been almost a year since the last MAC, in A Coruna, and the focus has shifted from what the elected governments can do with power to support the social movements animating the country. In this first post I'll be impressionistic. In posts to follow I'll get to the meat of the conference as I saw it. The meeting began in an atmosphere of disappointment with some current city administrations. The municipalist admin in A Coruna, En Marea, recently evicted a social center, La Insumisa. No one from En Marea showed up in Madrid to explain this, which was weird since they sponsored the MAC 3. A visiting friend of ours explained that a public use is planned for the building, so the squat had to go. So it amounted to a conflict between the “public” and the “commons” – a disagreement over a sanctioned legal conception of use of public resources, and an emergent practical use. This was a subject taken up at the MAC. The big idea is that “commoners” (that's a verb) should be respected, not treated as criminals because they are going against the legally constituted representatives of the “public.” The eviction of La Insumia, however, was done with violence toward a crowd of largely older people, so feelings (as well as heads) were hurt. The disappointment in the work of municipalist governance is more general than that incident. Some early missteps and betrayals of cultural figures, and failure to act on key issues of the movements – all of this has fed into a strong critique, forwarded by the key organizers of the MAC, the Fundacion de los Comunes and the Instituto por Democracia y Municipalismo. So finally, whatever the reason, it appeared that no one was here from any governing platform in any official capacity. I think that was a missed opportunity to share ways and means which some muni platforms have used to achieve successes in their cities. They have undoubtedly improved daily life as well as created resource tools which other cities can use. Some of those in attendance from the East of Europe (trips paid for by the Rosa Luxembourg Foundation) did not have the same issues as the Spanish, and seemed a little confused. That part of the MAC – a table on “El municipalismo como clave de la Europa de las clases subalternas” – was conducted in English, which took me by surprise. Happily there was some translation of other parts as well, since nearly always serious Spanish discussion moves too fast for me to comprehend well. What I had hoped for at this MAC, and argued for (too late) in a preparatory meeting, was some direct consideration of the role of culture. Cities usually have direct control over most of their cultural agencies. Too often movement activists take culture for granted, and are really only interested in propaganda. That neglects the positive and hopeful role cultural work can play, a fact every artist and cultural manager knows well. My question was/is: What would a radical municipalist cultural policy look like? Can we forge a document, a policy paper? I have some ideas... and I hope it can be a topic for the next MAC 5. 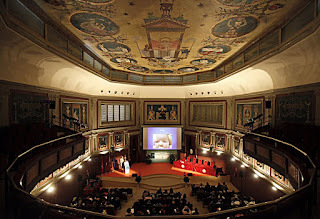 The first registration and an initial presentation were held in the sumptuous old precincts of the private scientific and literary foundation established by Spanish liberals in the 19th century. 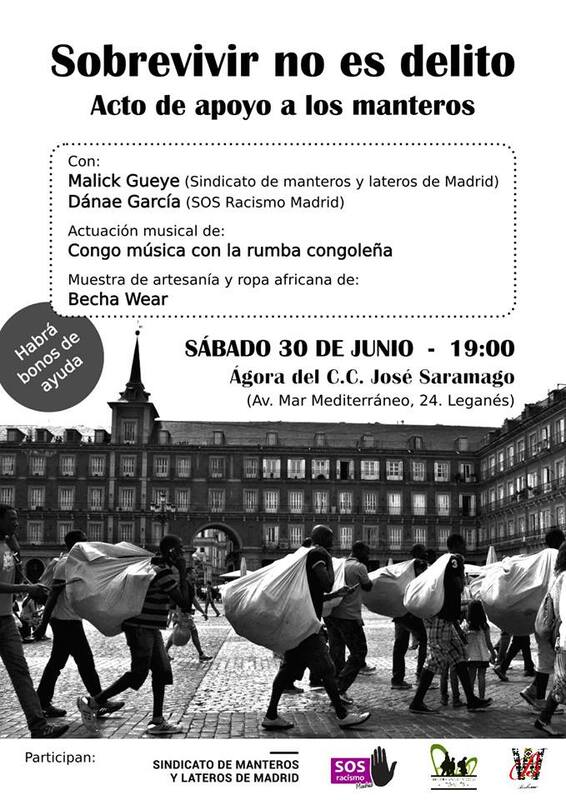 On the stage, ringed by portraits of wise old white men, representatives of the domestic workers' organizing group Territorio Domestico, the African street vendors' group Sindicato de los Materos y Lateros, and reps from the PAH and the threatened Malaga social center Casa Invisible spoke of their positions. A rep from the Fundación de los Comunes also spoke. They have released a new pamphlet, "The crisis continues" -- “La crisis sigue. Elementos para un nuevo ciclo político” – to frame the debates of the weekend. This is indeed a new cycle of politics, as the PP government has fallen and the top guy of PSOE and the ministers are now competent well-spoken professionals, not the old merry-go-round of right-wing politicians. The removal of dictator Franco's remains from the grim monument called Valley of the Fallen has been approved. The former pharoah will no longer sleep surrounded by the bones of his victims. So things are changing. The familiar discourse of the introduction was enlivened by the bizarre appearance of an actor representing Mariano José de Larra, a journalist, satirist, and a key figure of "democratic romanticism" in Spain. Larra croaked himself in 1837, so the actor brandished a toy pistol. Rafaela spoke of her group as part of the feminist wave of 8M against the violence of machismo and the borders, and precarious labor. The spokes for the manteros said, “At every step we encounter institutional racism” in the form of the foreigners' law. They want an end to this law that keeps them from working and subjects them to fines and jail. The PAH rep decried the rise of evictions in the barrio of Vallekas and other peripheries from apartments controlled by the semi-public Bankia, which will not negotiate with the tenants. The social center Casa Invisible, its spokes explained, is again under threat by a right-shifted city government. 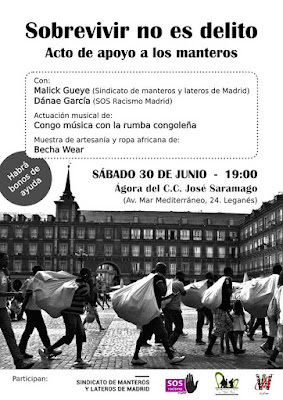 Social centers are basic to progressive political change in Spain. We need to change the juridical situation so that the social center is recognized. As we'll see in subsequent blog posts, this was a key issue in the MAC 4. After this intro the assembly planned to join the ongoing mass protests against the release of La Manada (the pack), the convicted gang rapists in Pamplona. I rushed off to La Ingobernable to meet Adolfo who was going to give me a bunch of pamphlets about their MaM-II “city manuals” exhibition. That was a brilliant mapping of the movements in Madrid and their many antecedents. I felt the folks from out of town should know about this. Adolfo couldn't come, but I met a companero from the Letralab, also cancelled because of the demonstration. His friend from the madness network said hello. I finished up the evening chatting with a Bulgarian looking for a job in Madrid, and handed her the Chto Delat newspaper on social centers (referenced in the previous blog post) – because she could read Cyrillic. Territorio Doméstico | Sin Nosotras No Se Mueve el Mundo.